Below is an example of a resume for a paralegal. 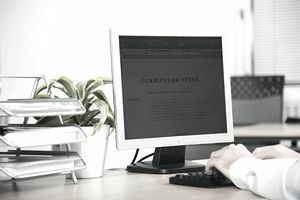 For additional assistance with creating your paralegal resume, review this resume guide and resume template as well as these tips to creating a winning resume. Download the paralegal resume template (compatible with Google Docs and Word Online) or see below for more examples. To obtain a paralegal position in a corporate legal department that will allow me to integrate my writing skills, organizational abilities, and 15 years of in-house paralegal experience to contribute to company growth and profitability. Pro Bono Award, Pittsburgh Paralegal Association, 2007 and 2008. Published author on practice topics: “10 Ways to Advance Your Corporate Paralegal Careet,” Legal Assistant Today, August 2007; “Cost Containment: A Paralegal’s Guide to Auditing Legal Invoices,” International Paralegal Journal, Spring 2009. Davis University Paralegal Institute scholarship recipient, 1995. ABC INSURANCE COMPANY, Pittsburgh, Penn. Perform all research and writing for five-attorney legal department, reducing outside counsel fees by 10 percent. Draft legal documents, including appellate briefs, motions, pleadings, and memoranda of law. Involved in all aspects of litigation support, including legal research, factual investigation, medical records review, and document preparation. Served as liaison between corporate executives, outside counsel, third-party administrators, and all levels of corporate personnel. University of Pittsburgh, Pittsburgh, Penn. Davis University Paralegal Institute, Pittsburgh, Penn.